Serving the South Carolina Lowcountry for more than 22 Years! No house is perfect, but every house is perfect for someone. ACE will help you decide. Charleston, Mt. Pleasant, Daniel Island, Isle of Palms, Sullivan's Isle, Folly Beach, Kiawah, Seabrook, Wadmalaw, Johns Island, James Island, North Charleston, Summerville, Hanahan, Ladson, Ridgeville, Walterboro, Ridgeland, Goose Creek, Monck's Corner, Edisto, Beaufort, Bluffton, and Okatie. Call our team for thorough, comprehensive inspections, straight answers, detailed reports with digital photos and priority recommendations, repair cost estimates, and everything else you need to know to make informed ownership decisions. Very happy with how our home inspection went! Steve D was just as thorough as I had hoped. Checked everything and explained any items he saw concern with or thought needed explaining. Even though we are young and first time home buyers, he made us felt at ease and graciously answered all of our questions. He got down and dirty under the tiny crawl space and for that we are extremely thankful. Report came just a few hours after he had left with the same thorough notes and pictures. Would gladly recommend and will use again if needed. Excellent Service and Quality Inspection, Very detailed in the inspection process and the finale report. Very easy to make an appointment! Scott inspected the home I was interested and wrote up a REALLY thorough inspection report. Also walked through the summary with me in the house. I don’t think he missed a thing - even crawled under the really tiny crawl space. So impressed with these guys. Very professional and a treat to work with. Thank you! Excellent job by ACE Inspections. They did an inspection of a home on Kiawah Island, SC. They did a verbal summary of the inspection and gave a very detailed and comprehensive report. The report was not a lot of “form letter” fill-in but rather a thoughtful custom report. A nice little benefit was a picture of all the appliances label/serial number. Great service. Prompt, professional, knowledgeable, direct and to the point and honest. Highly recommend ACE Preferred Inspections. Thank you and appreciate all your help. They are swift professional and very easy to schedule. Thanks Adam you are awesome!!! Youseff was a highly knowledgeable and very thorough inspector. His kind demeanor made us feel comfortable as well. I would highly recommend his company. 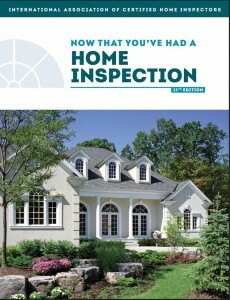 SCHEDULE YOUR COMPLETE HOME INSPECTION NOW! Need a quote? They are free! Please contact us with any questions you have. We cover phones and monitor emails from 0700 to 2200 365 days a year and we look forward to serving you!